Five students from our school have won at the 2018 SCCCS Fall Academic Contest held on November 4. Congratulations to all the winning students! Special thanks to all our participating students who have worked so hard to represent our school at this event! Sixteen students represented our school to participate in the SCCCS annual Poetry Recitation Contest held at Arcadia High School on May 6. Eight students from our school have won recognition in the contest! The contest is organized by the Southern California Council of Chinese Schools (SCCCS) and our students were competing against top students from forty-four Chinese schools across southern California. This is an impressive achievement for our students! Below is the winners list. Congratulations to all the winning students! The Southern California Consortium of Chinese Schools (SCCCS) held its annual Fall Academic Competition on Sunday, November 5. We are so proud of our students who participated in the competition. Special thanks to all our participating students who have worked so hard to represent our school at this event. They all did a great job! Seven of our students are recognized as winners of the competition by SCCCS. CONGRATULATIONS! Last Sunday, May 7, sixteen students represented our school to participate in the SCCCS annual Poetry Recitation Contest held at Arcadia High School. Six students from our school have won recognition in the contest! We thank all our participating students who demonstrated great talent and dedication to represent our school at this event. We would also like to express our special thanks to teacher Pei-Yi Lin for her professional expertise in preparing all the participants year after year. Congratulations to all the winning students! The SCCCS held its Fall Academic Competition on Sunday, November 6, 2016. We are so proud of our students who participated in the competition. Special thanks to all our participating students who have worked so hard to represent our school at this event. They all did a great job! Seven of our students are recognized as winners of the competition by SCCCS. CONGRATULATIONS! We are happy to announce some wonderful news! Last Sunday, May 15, fifteen students represented our school to participate in the SCCCS annual Poetry Recitation Contest held at Arcadia High School. Seven students from our school have won recognition in the contest! This is an impressive achievement for our students as this contest is very competitive. 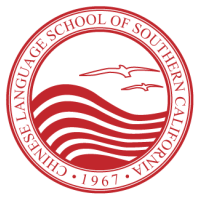 The contest is organized by the Southern California Council of Chinese Schools (SCCCS) and our students were competing against top students from forty-seven Chinese schools across southern California. We thank all our participating students who demonstrated great talent and dedication to represent our school at this event. We are so proud of our students! We would also like to express our special thanks to teacher Pei-Yi Lin for her professional expertise in preparing all the participants year after year. Last, but not least, we greatly appreciate our parents, who support and encourage the participation of students, and make this event a success. The SCCCS held its Fall Academic Contest on Sunday, November 1, 2015. We are so proud of our students who participated in the contest. They all did a great job! Seven of our students are recognized as winners of the contest by SCCCS. CONGRATULATIONS! The SCCCS Poetry Reading Contest was held at Arcadia High School on Sunday, March 22, 2015. Five students from our school have won the contest! Below is the winners list. Congratulations to all the winning students! We thank all our participating students who demonstrated great talent and dedication to represent our school at this event. We are so proud of our students! We would also like to express our special thanks to teacher Pei-Yi Lin for her professional expertise in preparing all the participants. Last but not least, we greatly appreciate our parents, who support and encourage the participation of students, and make this event a success. The SCCCS Fall Academic Contest was held on Sunday, November 2, 2014. Ten students from our school have won the contest! Below is the winners list. Congratulations to all the winning students! Special thanks to all our participating students who demonstrated great talent and dedication to represent our school at this event. We are so proud of our students! Congratulations to the following Westside Chinese School teachers and students for their outstanding achievement awards! The following students from our school participated in the SCCCS annual Poetry Recitation Contest on April 27, 2014 and have won the contest. Congratulations to all the students who worked so hard to represent our school at this event! Special thanks to teacher Pei-Yi Lin for her skillful preparation of all the students. Thank you all for participating in the SCCCS Fall Academic Contest on Sunday, November 17, 2013. We have some good news to share with you. Nine students from our school have won the contest. Congratulations to all the students who worked so hard to represent our school at this event! All the participating students demonstrated great talent and dedication. We are so proud of our students! Congratulations to the following Westside Chinese School teachers and student for their outstanding achievement awards! Seven students participated in the SCCCS Annual Chinese History and Cultural Bee, which took place on May 12, 2013. The elementary level team won the second place! The team members include 7A 孔令旸 (Lisa Kong), 6A 邱思婷 (Christine O'Connor), and 5A 施方晴 (Elsa Wallace). Congratulations to ALL participating students for taking the challenges and for all their hard work into the preparation! Special thanks to cultural teacher Virginia Hu and TA Irene Chang! Thank you all for participating in the SCCCS Annual Poetry Reading & Contest on Sunday, May 5, 2013. We have some good news to share with you. Three students from our school have won the contest. Our athletes triumph the track and field again! Despite a small number of participants, we won the 3rd places for both girls' field and girls' tracks, plus 20 individual won one or more medals! We thank Hsing Yen (閻興) for organizing the sport team! Click to see a complete list of winners. The Southern California Consortium of Chinese Schools (SCCCS) held its Fall Academic Contest last on November 11, 2012. We congratulate all students who represented our school to participate in the contest. You all did a great job! Two of our students are recognized as winners of the contest by SCCCS. CONGRATULATIONS to 2A student Sadie Kaufman who won Honorable Mention in Drawing Contest and 10/11/12A student Jessica Luo, who won Third Place in Plug-in Writing. Class 2A teacher Cheng Ling Yu participated in and completed the Chinese Cultural and Folk Arts Teacher Training Workshops organized by the Overseas Compatriot Affairs Commission, Republic of China for three years consecutively. She was granted a Seed Teacher Award at the 4th Annual Chinese Cultural and Folk Arts Teacher Training Workshop Graduation Ceremony on May 10, 2012. The award was granted by Mr. Chunli Liang, Director of the Cultural Center of the Tapei Economic and Cultural Office in Los Angeles. 11A Alison Hu won the Honorable Mention for Pen Writing Group in the 2011 Fall Competition of Southern California Council of Chinese Schools. 2B Katya Leal won the First Place in the Special A group (for non-Chinese heritage students), and PA Lily Gao won the Second Place in the Kindergarten group in SCCCS Poetry Recitation Contest. 6B Yuen Ming Koon, 4A Brooke Lin, 4A Emily Zhang, and 3A Summer Chang won the 2011 Book Cover Design Award from the Take Home Book program organized by the Chinese American Children's Literature and Reading Association.